Spatial and cultural analysis have recently found much common ground, focusing in particular on the nature of the city. 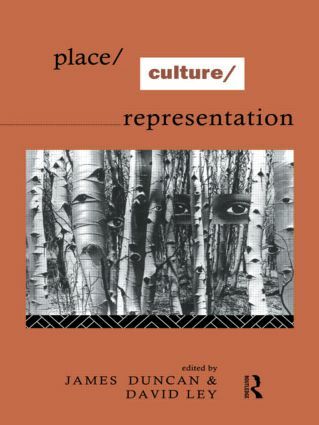 Place/Culture/Representation brings together new and established voices involved in the reshaping of cultural geography. The authors argue that as we write our geographies we are not just representing some reality, we are creating meaning. Writing becomes as much about the author as it is about purported geographical reality. The issue becomes not scientific truth as the end but the interpretation of cultural constructions as the means. Discussing authorial power, discourses of the other, texts and textuality, landscape metaphor, the sites of power-knowledge relations and notions of community and the sense of place, the authors explore the ways in which a more fluid and sensitive geographer's art can help us make sense of ourselves and the landscapes and places we inhabit and think about.